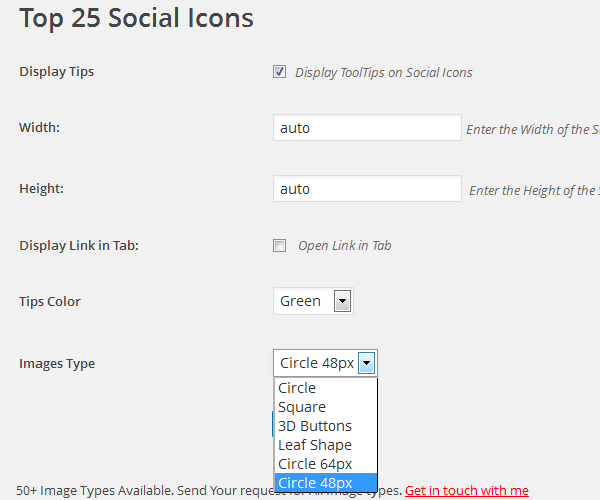 I recently switched from another plugin to the Top 25 Social Icons plugin for WordPress by Vyas Dipen. It displays icons in the sidebar to encourage you to follow my social media outlets, which you should go do right now before you forget – c’mon, follow ’em all, you know you want to! They’re in the sidebar – go on, now, I’ll wait! In all seriousness, for most blogs those icons are a crucial part of the marketing strategy. You can code your own, which takes some work and also means you’re on your own to update them every time a network (Facebook I’m looking at you) completely changes everything sothey all break. Plugins are much simpler, but you have to make sure they’re not slowing down your pageloads. My preferred option is a lightweight plugin that looks nice. I’ll even settle for “looks decent” to keep that load time fast. 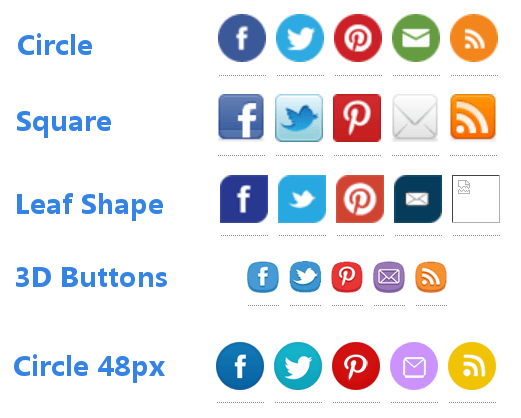 The Top 25 Social Icons plugin does all I want and more. 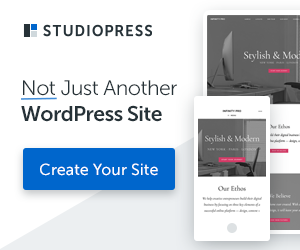 It’s very lightweight – the only code it ads is a pair of links to stylesheets that control its considerable design options. No big chunks of code loaded above your content, no noticeable lag in the load time. Everything’s on your server, so there are no calls to another domain. Note the missing image for the Leaf Shape RSS Icon at 48×48. Some of the button styles, like Square, look a little fuzzy at 48×48. The Circle options are great – as you can see, “Circle” at 48×48 and “Circle 48px” look different, with “Circle 48px” looking sharper. Still, you have a number of options to play with, a quick load time, and a widget that’s very easy to configure with lots of networks. Once you’ve chosen your settings in the control panel above, you just go to “Appearance” > “Widgets.” The widget is in your “Available Widgets” on the left, toward the bottom. Drag it into the widget area you want, and open it up. First, you can add text in the Title field, and that will appear as a header in your sidebar. You can also leave this blank for no header. Then you add your profile links into the networks you want to include. The networks included at the time of this writing are: Facebook, Twitter, Pinterest, YouTube, Google+, Digg, Reddit, LinkedIn, Flickr, Dribble, Email, InstaGram, Vimeo, Yelp, Tumblr, StumbleUpon, Skype, Evernote, GitHub, RSS, MySpace, Forrst, DeviantArt, LAstFM and Xing. Wow, really nice plugin… thanks for sharing it.. i will definitely use it..
i don’t have to search for icon in google. it is already there..
are you author of this plugin? Glad you like it, Rosey! No, I’m not the author – follow the link in the first sentence and it will take you to the author’s website.